DIMITRIOU J, MOLA-YUDEGO B, ARONSSON P. 2012. Impact of Willow Short Rotation Coppice on Water Quality. 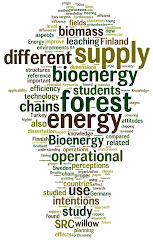 Bioenergy Research. doi: 10.1007/s12155-012-9211-5. Short rotation coppice (SRC) with willow has been grown in Sweden from the late 1980s to produce biomass for energy on agricultural land. This study evaluated the effects of SRC on water quality by determining differences in leaching of nitrogen and phosphorus to groundwater of a number of commercial “old” SRC willow stands in Sweden compared to adjacent arable fields grown with “ordinary” crops. The study was conducted in 16 locations under three vegetation seasons. NO3–N leaching from willow SRC fields was significantly lower than that from reference fields with cereals. The opposite was observed for PO4–P; concentrations in the groundwater of SRC were higher compared to reference fields. Sewage sludge applications were not responsible for the elevated PO4–P leaching under SRC compared to reference crops. DIMITRIOU J, MOLA-YUDEGO B, ARONSSON P, ERIKSSON J. 2012. Changes in organic carbon and trace elements in the soil of willow short-rotation coppice plantations. Bioenergy Research. Forthcoming. GONZALEZ-GARCIA S, MOLA-YUDEGO B, DIMITRIOU J, ARONSSON, P, MURPHY R J. 2012. Environmental assessment of energy production based on long term commercial willow plantations in Sweden. Science of the Total Environment 421:210-219.